A Facebook post by Kyle Holland from MBSC got me thinking recently about the number of websites and blogs out there in the Strength and Conditioning industry. Obviously, the one you are reading is one of them. This blog is now almost 2 years old and I still have a hard time with “shipping”- (a term I learned from reading Seth Godin’s material). Sometimes I think I need to post really great content or nothing at all. Don’t know if the content has been great, but I guess I’ve learned to not care too much of what anyone else thinks. There is a ton of great information being shared on the internet. I really like blogs that are about what the author is thinking at that present time. Coaches and Trainers who are trying exercises and programs with their athletes/clients and themselves and sharing it via blogs and social media platforms is great for the field. I first read the article, the The Business by Alwyn Cosgrove and Jason Ferruggia a few years ago. This article hits the nail on the head. Although I do know Alwyn personally, I’ve never met Jason before. These guys are great writers and I know that before they even wrote an article, they were great trainers who got real results with their athletes/clients. If you haven’t read it, please do. Will I sell an information product someday? 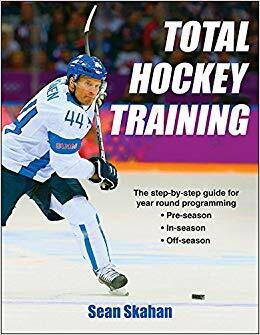 Yes, I would like to write a hockey training book amongst other projects. Stay tuned. Thanks for re-posting that Sean. It’s a great read and tells it like it is!